Check out the Columcille Megalith Park Online Store. It's here! 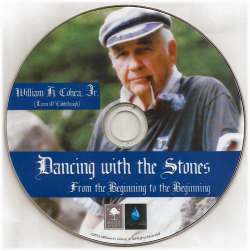 The Documentary DVD Dancing with the Stones: From the Beginning to the Beginning. 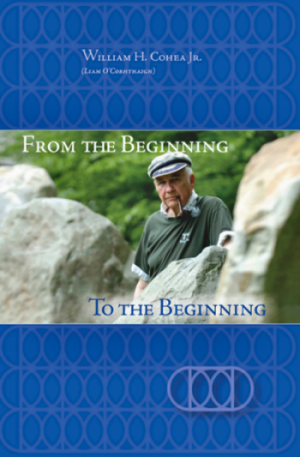 Shot entirely on location in Columcille Megalith Park, the film features William "Bill" Cohea, Jr. who shares the story of the visions and promptings that drove him to create the Park we have today. This DVD is full color and runs over 45 minutes. The Myth, Mystery and Trivia of Columcille Megalith Park for your very own. Makes a great gift! The DVD is now available by mail using the Buy Now button below or stop by the Columcille Voyager's Lounge to get your copy for a donation of $15.00. Copies by mail are $15.00 with a multiple copy discount that includes postage and handling. For a three minute Preview, just click HERE. The follow-up book to Come Dance With Me is now available in the Voyager's Lounge and by mail using the Buy Now button below. For a sneak-peek click HERE then order your copy by clicking below. Or stop by the Columcille Voyager's Lounge to get your copy for a donation of $10.00. Copies by mail are $15.00 with a multiple copy discount that includes postage and handling. Columcille thanks you for your support.